EVGA Precision X for Windows 7 - application to work with the characteristics of the video card used. The utility supports NVIDIA adapters, includes capabilities for monitoring core temperature parameters, cooling fan speeds and voltages applied to the main components of a video accelerator. The program can show fps or sensor values in games and on Logitech keyboards, includes the ability to quickly change the frequency of the central core. The utility supports saving and switching user profiles, adjusting the output parameters and color rendition of monitors. 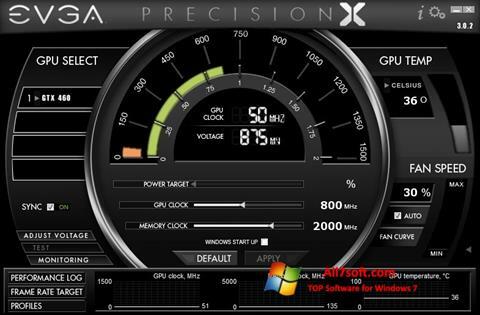 You can free download EVGA Precision X official latest version for Windows 7 in English.